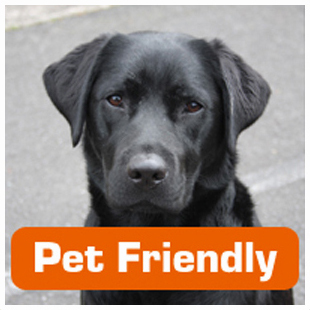 * Conditions apply for pet-friendly designated rooms. Fill out the form below and we will be in touch asap to discuss your requirements. If you are looking for dog-friendly accommodation, Victoria Lodge has a number of rooms available that can accommodate your pet. Our team knows that pets are an important part of the family and Victoria Lodge is one of Rotorua motels and hotels that welcome dogs along with their owners. 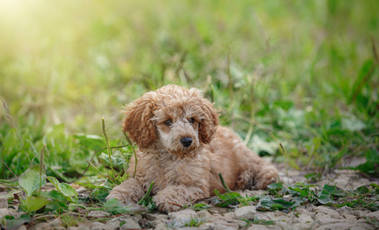 Our friendly team can also let you know the best places to take your dog for a walk, parks where you can let them off the leash and pet-friendly cafes in the area. Contact us today to talk about booking holiday accommodation in Rotorua that will be suitable for you and your dog. Victoria Lodge welcomes guests with their pets! As one of the few motels and hotels in Rotorua that allow pets, Victoria Lodge is happy to welcome your dog but we do ask that owners follow a few rules both to help our staff and to ensure the safety and comfort of other guests. These simple rules allow us to continue welcoming pets at our self contained accommodation in Rotorua while not imposing on our other guests. In case of any damages/doggy pee stains on the carpet, etc. - the credit card supplied to secure the reservation will be charged to cover any professional cleaning fees. If you are planning to bring your pooch with you on your next trip, please remember that we can only accommodate pets in some rooms, so it is a good idea to contact us and check that we have a suitable room available before booking. Victoria Lodge offers family motel units including self contained accommodation suitable for families and larger groups as well as studio rooms for couples or people travelling alone. Contact us today to book your dog-friendly holiday accommodation in Rotorua. Dogs are not allowed in Rotorua CBD. There is a dog park at the Redwood Forest where animals can be let off the lead. Dogs can also walk on racecourse provided no horse track meeting is being run. We can provide maps for the designated dog walk areas supplied by the Rotorua District Council, so pop into the office if you should require one. Recommendations for doggy day care available at the reception. *Conditions apply - Please enquire directly to ensure we have designated pet-friendly room available for your required travel dates.